To help us give you a faster quote please kindly add the make and model of your machinery, i.e. New Holland T8000, Valtra N101r, DEUTZ-FAHR C9000 f or JCB 4CX backhoe loader etc. Dornack International has over 30 + years experience in importing and exporting Construction machinery to Suriname. We specialize in the shipment of Heavy Machinery, Excavators, backhoe loaders, Screeners and associated plant machinery. Our operations are strategically located throughout the UK and Europe with further “fully” owned companies based in cities in and around China and the Far East. Dornack work alongside a network of well established, accredited groups and partnership businesses throughout the world. With our far eastern partnership we are able, not only to offer airfreight, deepsea FCL and LCL containerised shipments, but also high and heavy specialised shipments such as agricultural and construction machinery to worldwide destinations. With a customer driven team of dedicated freight professionals, we have the know-how and experience to deal with a whole range of commodities to ensure your cargo arrives at its destination. 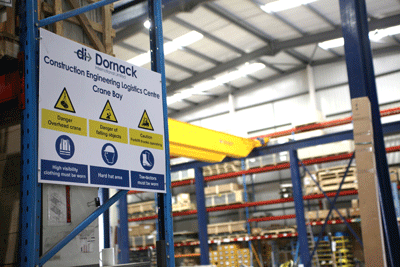 Storage, consolidation and supply chain management are key factors of Dornack’s bespoke service. Our European based Conditioning Centres, with specialised workshops can provide modifications to your equipment to bring your goods in line with the varying requirements of countries that make up the modern day EU. This combined with a VAT and Duty free storage allows a gateway to Europe for non EU based manufacturers. Our team have the know-how and experience to deal overseas shipment of oversized high-heavy / construction equipment. 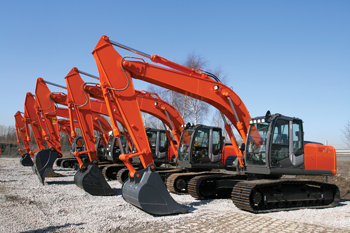 Tracked Excavators, bulldozers, concrete mixers, cranes, dump trucks, earth movers, excavators, forklifts, generators, log loaders, motor graders, mining equipment, scrapers, skid steer loaders, tanks, tractors. 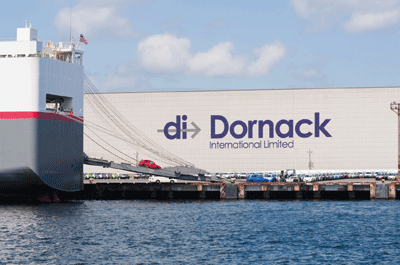 Dornack has over 30 + years of experience in world wide RoRo shipping. Our operations are strategically located throughout the UK and Europe with further fully owned companies based in cities in and around China and the Far East. We work alongside a network of well established, accredited groups and partnership businesses throughout the world. When it comes to dealing with heavy Construction plant and material, high voltage transformers, generators, UPS panels, switch gear, HVAC Air- conditioning units, elevators, escalators, lifts or general engineering equipment, we have the knowledge and experience to transport your equipment from anywhere to anywhere. We utilize a network of group offices and agents around the world to offer solutions to your cargos requirements. 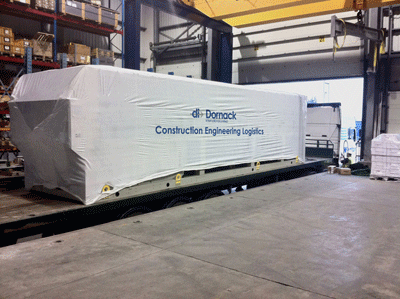 Dornack International is a leading solution provider in the modern construction logistics industry. Our facility based in West Thurrock, on the outskirts of the City of London, is in an ideal position to access all areas of the country. Over the recent years we have been involved in many prestigious projects such as Heron Tower, The Shard, Canary Wharf Towers, Westfield and the Olympic site. In addition to this, together with our partners, we also service a number of Roll-On / Roll-Off (RORO) routes. This is normally the most cost effective method of shipping combine harvesters, large balers and excavators. We can offer door-to-door or port-to-port (solely sea freight) services depending on your requirements. Depending on the size of your tractor, combine harvester, baler, excavator or indeed any other piece of machinery, you may be able to ship by container. In some cases however you may have to disassemble your machinery in order to meet the internal dimensions of the container. England, Scotland, Wales, Ireland, Spain, Portugal, France, Belgium, Germany, Italy and non EU countries such as Australia, South Africa, Kenya, New Zealand and Canada.